Amy Grant is back in the studio after over 10 years to record her 15th studio album – ‘How Mercy Looks From Here’. Amy’s success in both the secular and Christian music scene has been a joyful unfolding of heartfelt and honest music. The multi-award winning artist has attracted an impressive collection of collaborators for her new album including the highly acclaimed producer Marshall Altman (Natasha Bedingfield, Cheryl Cole, Jessie James), and shares the microphone with Sheryl Crow, Eric Paslay, James Taylor and others. The exciting come-back from the Christian country megastar isn’t just another notch on her buckle, but another opportunity to speak into the lives of her fans with simple, honest lyrics that hold inspiration, encouragement and a helping hand. 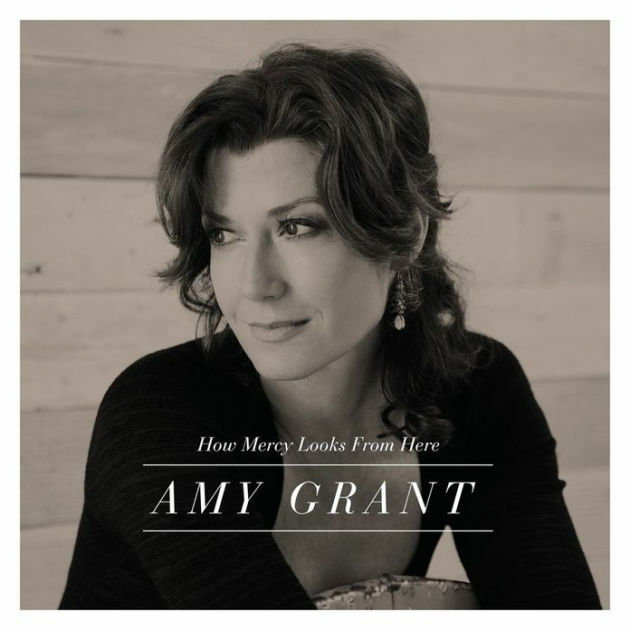 How Mercy Looks From Here CD by Amy Grant was published by Capitol Christian Distribution in May 2013 and is our 3800th best seller. The ISBN for How Mercy Looks From Here CD is 5099922651822. Be the first to review How Mercy Looks From Here CD! Take a peek at some articles related to How Mercy Looks From Here CD. Got a question? No problem! Just click here to ask us about How Mercy Looks From Here CD. As a teenager nearly 30 years ago, Amy Grant began embracing fans with a heartfelt singer-songwriter style mixing elements of pop, folk and country. As Contemporary Christian musics first major crossover success, she has earned three multiplatinum albums, six other platinum albums and four more gold albums. Shes scored 10 Top 40 pop singles and 17 Top 40 Adult Contemporary tracks as well as a string of Contemporary Christian chart-toppers while winning six Grammy Awards and numerous Dove Awards. With fans clamoring for new music, Amy worked closely with highly acclaimed producer, Marshall Altman (Brooke Frasier, Natasha Bedingfield, Matt Nathanson) and is set to release her first studio album in over 10 years. Now Playing: If I Could See (What The Angels See) Your browser does not support the audio element.